SEAN AVERY ATTACKS ISLES FANS, NFL COMBINE, JEANIE BUSS SCREAMS FAKE NEWS, ERIC'S FIRST ERUPTION! Listen in as host Nick Ohrnberger joined by Eric Fischetti, Daniel Morales, and Ross Levine, talks about Lebron James and the Lakers as well as Jeanie Buss' claim that the Anthony Davis trade rumors were "fake news," Sean Avery's comments about Islanders Fans that Eric melts down about (priceless), Islanders fall out of 1st place, Antonio Brown's ESPN special and MUCH, much more. All on the official podcast of WHPC Sports Talk. 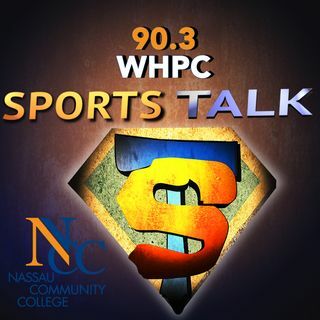 The Voice of Nassau Community College 90.3 ... Maggiori informazioni WHPC.